April Smith, accomplished novelist and TV screenwriter, has published a new novel that is unsettlingly relevant for our time. Home Sweet Home (Knopf) tells the story of suspicion leading to tragedy in the era when Senator Joe McCarthy was spreading fear of Communists in our midst. A family of liberal Democrats from New York go west in hopes of getting a new start in a place of wide open spaces and friendly, supportive neighbors who respect the old values of hard work and honest dealings. They pick a town in South Dakota because the father’s old Air Force buddy lives there and will help them get started. Things go sour when it turns out the old Air Force buddy has lied to the locals, puffing up his war stories to sound more heroic, and the newcomer calls him out. A dark stain of mutual distrust runs through the story of newcomers from a different background making a success of their lives in the new landscape, and the family is smeared as “Reds.” Showing how prejudice and hatred can be carried down through successive generations, it is the family of the children who are senselessly murdered. 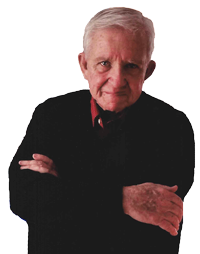 The novel was inspired by a true to life case of the “Red Scare” era of the 1950s. As passions mount and divisive politics trouble our own time, this book is a dramatic warning of what can come of overly-aroused feelings on sensitive national issues. Simplistic labels that denigrate whole categories of humans – not only based on skin color and ethnicity, but even because of political beliefs, can lead to personal tragedy and national disgrace. This novel is a family story, a mystery, and a warning. 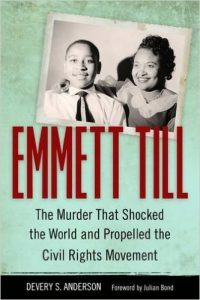 A new book, EMMETT TILL: The Murder That Shocked the World and Propelled The Civil Rights Movement, by Devery S. Anderson, is the best and most complete account of the harrowing story. 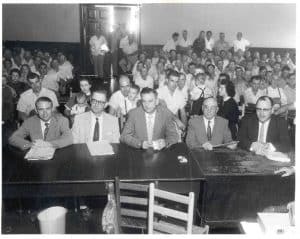 The author called me several years ago while doing research for the book and apologized: “I’m sure you get a lot of calls and emails about this, and I’m sorry to bother you, but you are the only one who was at the trial who is still alive.” I was twenty-three when I went to the Mississippi Delta and covered the trial for The Nation magazine. 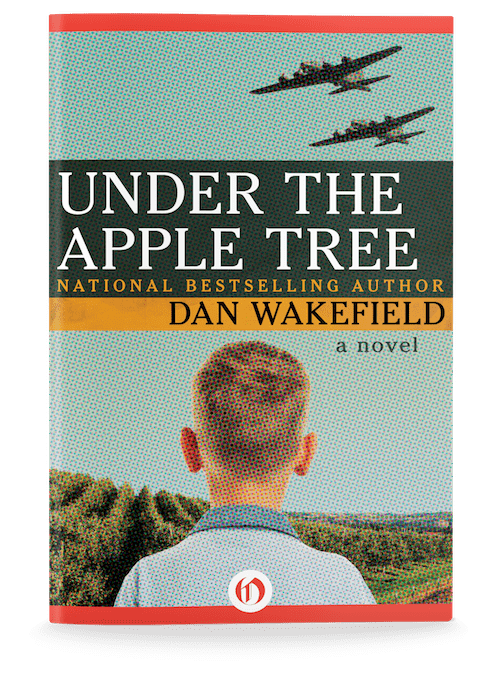 I had no idea that the story would become so relevant more than sixty years later that three movies, as well as a spate of new books on the trial, are being produced. A crowd was gathered on the lawn outside the courthouse during the trial, and the crowd itself was segregated. There was a Princeton student from Mississippi who was defending his state from the negative attention it was getting in the press. He said the image of Mississippi as an exotic place that seemed full of bizarre characters and dark doings, was merely fictional, expressed in the imaginative writing of William Faulkner, who was born and lived most of his life in the nearby town of Oxford. Lowering his voice, as if to explain the reason for what he felt was the novelist’s distorted vision, the student said “Mr. Faulkner, he drinks a good deal.” This “explanation” seemed as bizarre as everything that happened that week. 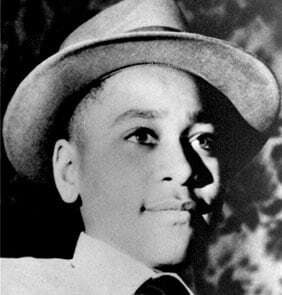 In some tragic way that trial, with the white perpetrators set free, seems doomed to be repeated in different guises in different parts of the country, decade after decade, year after year, like a national nightmare from which we can never seem finally to wake. It’s been a long time since New Yorkers and others up north could smugly blame the South for being the exclusive province of prejudice. Hate, fear, and bigotry have no boundaries. This “explanation” seemed as bizarre as everything that happened that week. In some tragic way that trial, with the white perpetrators set free, seems doomed to be repeated in different guises in different parts of the country, decade after decade, year after year, like a national nightmare from which we can never seem finally to wake. It’s been a long time since New Yorkers and others up north could smugly blame the South for being the exclusive province of prejudice. Hate, fear, and bigotry have no boundaries. One night last January while sitting comfortably at the Red Key Tavern (where I always feel comfortable), awaiting my burger and glass of red, Michael Therwechter, the resident photographer and creator of the Red Key website (RedKeyTavern.com), approached me with an idea. 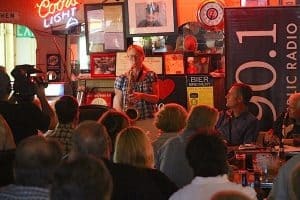 Sophie is one of the best and most popular jazz musicians in Indy, having played on Wednesday nights at the Chatterbox on Mass Ave. for many years. Last year, she was honored by The Star as one of the city’s up and coming young artists, and when she held a party for a new record at IndyReadsBooks a year ago, she drew the biggest audience the store has ever seen. My old Shortridge friend and former Village roommate Ted Steeg, the inspiration for the character “Gunner” in the novel, came down from New York to help me out. We passed a mic back and forth on the bus and tossed stories around along the way. Will suggested I ask friends to read brief passages from the book as comment on the sites. 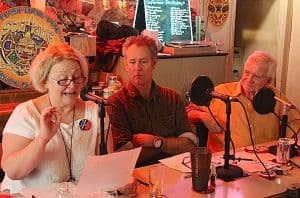 Travis diNicola, Judy O’Bannon and Karen Kovacik headed the cast with Will as emcee, and I supplied supplemental stories as I careened back and forth at the front of the bus, holding the mic and trying not to fall into the lap of the driver. Originally this was conceived simply as an evening at the Red Key, but once the pieces started falling into place, we thought as long as we’re doing this, why not see if we can do it on the radio? I’d been interviewed on WFYI’s masterful production of their documentary on Vonnegut (“A Writer’s Roots: Kurt Vonnegut’s Indianapolis”) and started by asking that producer who put me in touch with the head of programming. Will and I pitched the exec at a meeting at (of course) the Red Key. The program exec asked me to write up a one-page summary of the show that he could give to his Board, and after a nail-biting few weeks, he said he was turning us over to the person in charge of radio. She gave us the go-ahead for our first show and put us in touch with the sound engineer we would need to employ for the job. As pieces began to fall into place, it turned out that Michael, the Red Key photographer whose idea set the whole thing in motion, was a natural-born producer. He announced the show on the Red Key website with a fee of $15 per person, and within hours, the place was sold out. 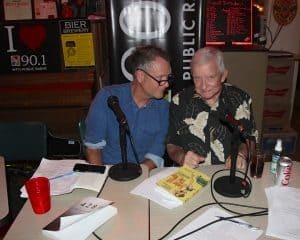 Mike wrote and recorded a terrific intro to the show as well as promos aired on WFYI. He brought in the sound engineer to scope out the logistics for recording. He worked with owner Settle (son of the legendary Russ) to organize closing the bar (a first in its history) to all but participants and show-goers from 6-8 p.m. on Monday night, September 19. He arranged to have drinks and burgers served to the 50-plus people at the 15-minute break and during the show without any interruption in the broadcast. I almost had a cow. “Serve burgers and drinks to 50 people during the broadcast? Without any interruption in the program? That’s impossible!” I ranted. But with the organizational aid of the indomitable lawyer-organizer Pat Chastain and the all-star staff of the Red Key, including Jim behind the bar, Violet at the door and Lana on the burger-magic grill, Mike made it all happen. As guests, we had Ophelia Roop, the adult services programmer at the Central Library who assured me it was safe to come back and speak here in public in 1987 (17 years after the novel was published); Georgia Buchanan, the first movie and TV critic of The Indianapolis News who spoke of the trauma of having to transfer from Manual to Shortridge after her sophomore year; and Janet Brucker Herke, my 1950 Shortridge classmate who explained the arcane social structure of high school life in Indy. The show aired on WFYI on October 16 and can be accessed on my website, danwakefield.com. We recorded a second show on September 19 on reporting from dangerous places with my own account of writing in Israel and Jordan in 1956 when I was detained by The Arab Legion as a suspected spy but allowed to return to what the Arabs call “Occupied Territory” (better known as Israel). 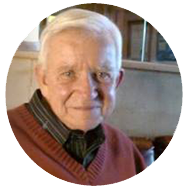 Middle East reporting was brought up to date by Will Higgins who The Star sent to Iraq and Bloomington author/foreign correspondent Douglas Wissing who has written two books based on his tours embedded in Afghanistan. That show has not yet aired at the time of this writing. After our first show, I wrote up ideas for an additional six shows, and WFYI called us in to express their enthusiasm and tell us they wanted to find sponsors for the “Uncle Dan’s Story Hour.” Stay tuned. . . .
Whatever happens, that first hour show was like my own “This is your life,” featuring some of my favorite people –my favorite writer, musician, librarian, classmate, survivor of Indy high school trauma and Star reporter. And for extra good measure, the voice of Vonnegut, the Godfather of my writing career. As a special feature, the recording of a pop song from the days of my “Going All The Way” tempest was played, which begins with sirens: “Indiana wants me, and I can’t go back there. . . .” But I finally did, and I’m glad. “Uncle Dan’s Story Hour” is my testament.